Clubs start on October 31st. Sign up!!! Please check the after school club you would like your child to participate in. Clubs will meet from 3:30 pm until 4:30 pm on Wednesdays, starting on October 31st and ending on November 28th . Students must be picked up from BIS promptly at 4:30pm. Each club will meet a total of 5 times. Please send the appropriate amount with the signed form by Monday, October 29th. (NO CHECKS PLEASE). Space is limited in each club so please turn in your registration form as soon as possible to reserve your child's spot. ** Note: This club will be offered all year long. If your child would like to do a club but transportation is a problem, consider one of the following bus companies to pick-up your child at 4:30pm: Kmon Transportes- 3244-3003, Trans Rico - 3226-0437 or 9995-4393, Transcassimiro – 3244-0787. ** Also consider the "Hang Out Club" if you have multiple kids. One son could do a club, while the other stays in the "Hang Out Club" with Mr. Knutson J. Remember that students participating in clubs must be picked up at 4:30pm. Club descriptions on the next page. 2012 Clubs – October 31stto November 28th (5 sessions). "Hang Out Club" - This club is open to students in Preschool to 12th grade and it will be led by Mr. Knutson along with parents who volunteer. This club is designed to help families who have children doing multiple activities at BIS. In this club students will have a chance to do their homework (by themselves without teacher assistance), or simply hang out in the computer lab, use the internet, play cards, etc… while their siblings are doing a different club. This way all children can go home at the same time in one vehicle. Students in this club are encouraged to bring a snack in case they get hungry. This club is available to BIS students only. Cost R$10. Capoeira Club - This club is open to students in Kindergarten to 12th grade and it will be lead by Capoeira instructor, Aladin, assisted by Ms. Raquel. Capoeira is a Brazilian dance/ martial art developed by the African slaves who helped colonized Brazil in the 1500's. Students will learn the fundamental steps (jinga) of capoeira, along with different songs and moves that make up the capoeira experience. This will be an amazing club and a great cultural Brazilian experience! Homework club: This club is open to students in 3rd to 12th grade and it will be lead by Mr. Knutson. Students will be given the opportunity to work on their assignments and homework after school in the computer lab. The teacher will assist students with any questions they may have on their projects and homework. This club is available to BIS students only. Cost R$75. Soccer club ends, but soccer team begins (during school hours) – Soccer team is open to students in 3rd to 6th grade and it will be lead by Coach Batista. Due to extenuating circumstances our soccer coach, Leandro, will no longer be able to teach our soccer club. This means we will no longer have afterschool practices on Tuesdays and Thursday (in November and December). However we will now offer soccer practices for 3rd to 6th graders during their second recess (1:35pm to 1:55pm, Monday – Friday). These students will represent our school as we play against different schools and clubs in Brasilia. Cost R$10 or free for those students that have already participated in soccer club this year. Santa's workshop – This club is open to students in 5th to 12th grade and it will be lead by Mrs. Knutson and Mrs. Renard. In this club students will learn how to make and decorate different Christmas gifts. This is a great opportunity to get ahead and start making some special gifts for family and friends as the Christmas season approaches. Should be great fun! Cost R$75. Announcements for clubs next week. · No soccer club on Tuesday (10/23/12) because it's a half-day. · No capoeira class on Wednesday (10/24/12) because it's a half-day. · We will have capoeira class on Friday (10/26/12). Please arrange transportation for your kids to be picked up at 4:30pm on Friday. · Please check our website for the latest info. www.bischool.com.br , click on Extracurricular >> Athletics & Clubs >> Clubs. · If you have any questions please contact me – coachbatista@gmail.com . The Junior High and High School basketball team will have their last game of the season on Thursday (10/25/2012) against Santo Antonio (911 sul) . Jr High boys will play at 6pm, girls play at 7pm, HS boys play at 8pm. All are welcome to come cheer the Eagles! 1- BIS vs Atlético Paranaense . · Date and time: 4pm to 5pm on Thursday October 25th. · Location: at the UnB sports complex (Centro Olímpico da UnB). o Located at Setor de Clubes Norte on street L-4 (in Asa Norte, near the lake). o You may find this on google maps by searching: Unb centro olimpico. · Plan: Coach Batista will drive to UnB (Centro Olímpico) from BIS at 3:20pm. Parents are welcome to follow coach Batista's car. The game will be from 4pm to 5pm. Students are expected to go home at 5:20pm. Please plan to have your child picked up at 5:20pm at UnB (centro olimpico). · All families and friends are welcome to come cheer for the Eagles!!! Should you have any questions or need help with transportation please contact me at coachbatista@gmail.com or 8144-2220. If you know you will need transportation help to go to the game at UnB, please sign the authorization below.
" I authorize my child to go to the soccer game in the car of Coach Batista or in the car of a fellow student." Give this note to Coach Batista. Should you need more directions please contact me at coachbatista@gmail.com or 8144-2220. Dear parents and students here are a few announcements for clubs and sports in the month of October. Capoeira club will now be twice a week (Wednesdays and Fridays, 3:30pm to 4:30pm) for Kindergarten to 6th grade. - Our students have done a great job in capoeira and we will now offer capoeira twice a week. Students that cannot come twice a week are welcome to come once a week. - The Capoeira club will continue with no breaks until the end of the school semester. That means we will have two more months of Capoeira, October 15 to November 15, and November 15 to December 15. - Cost will be R$75 for each month (October 15 to November 15). - If you would like to participate in capoeira club please fill out the information below and send the appropriate amount of money to the school office. Soccer club continues on Tuesdays and Thursdays, 3:30pm to 4:30pm, for 3rd to 6th graders. - The soccer club will play games and practice all throughout the school year. - Students in 3rd to 7th grade are welcome to join this club. - Cost for October is R$60 (this is a pro-rated price). - Cost for November will be R$80. - If you would like to participate in soccer club please fill out the information below and send the appropriate amount of money to the school office. Soccer Team for 3rd to 6th graders (this is different than soccer club). 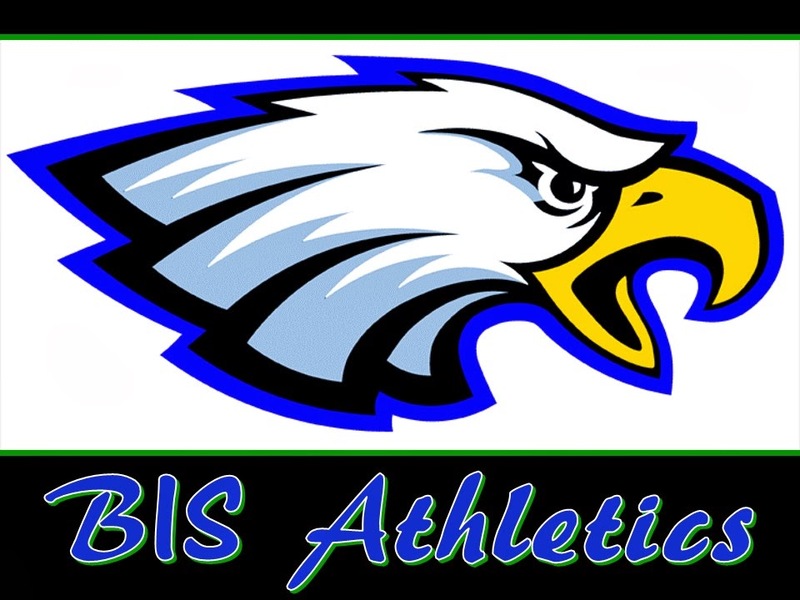 - BIS is forming a soccer team with students from 3rd to 6th grade. - This will be different than the soccer club. - The soccer team will practice during school hours (in the afternoon recess). - The soccer team will play games against other schools and clubs during the months of October and November. The cost to join the soccer team will be R$10 (for the season) . Students that are part of soccer club do not have to pay this fee. - If you would like to be a part of the soccer team please fill out the information below and send the appropriate amount of money to the school office. - The next session of clubs will begin on 10/31/2012 and it will go through the month of November. - As of now we are planning to offer the following clubs: Archery (5th to 12th grade), Christmas gifts making (5th – 12th grade), Basketball club (3rd to 6th grade), Arts club (Pre-school 4 to 2nd grade), Hang out club (K to 12th ). o Capoeira club and soccer club will also be offered in November. Should you have any questions please contact me – coachbatista@gmail.com . Thanks and Go Eagles!!! What a Saturday! We had our first Sports Day of the school year. It was parents and teachers versus students basketball. We had a great turn out of parents and students. It was a grueling game. The students were ahead and then the teachers were ahead, but in the end it was 32-28 STUDENTS!! Good job students! We would like to thank everyone who came and participated and even cheered. We look forward to seeing you all at our next Sports Day! October 6th, from 9:30am to 11:30am. · Special feature game at 10am – Basketball: Teachers and parents vs Students. · SGA Canteen will be selling snacks and refreshments.